District One (D1) at Mohammad Bin Rashid Al Maktoum (MBR) City is one of the newest residential districts to open in Dubai. Positioned at the luxury end of the residential market, the gated community offers large villas, mansions and apartments that will be built around a lagoon. Residents have already started moving in the villas since last year, while the 16 apartment buildings that are part of phase three are expected to be ready starting late next year. Unlike other communities catering to the same niche, D1 is a lot more accessible. It is a short drive to Downtown Dubai, for instance, and is close to major arteries such as Shaikh Zayed Road and Al Khail Road. French art dealer and advisor David Bel, who arrived in Dubai a few months ago, says the neighbourhood ticks all the right boxes. “I wanted to live in a place that is safe, pleasant and green, easy to live in and close to all the main facilities,” says Bel. Mohamed Jeelani, who has lived in a contemporary five-bedroom villa with a garden and Burj Khalifa view for almost a year, says the lifestyle element was the main attraction for his family. “We chose the place for the design, the concept of the water lagoon and beautiful contemporary villas that have abundant natural light,” says Jeelani, an IT and telecom business owner. “The project gives a resort feeling and luxurious living experience. The whole project offers an excellent investment opportunity for those who desire returns. According to Merchant, upcoming amenities are also a major selling point, including The Meydan One, which will break at least five world records with the 711m tall Dubai One Tower, the Meydan One Mall, a 1.2km ski slope that is three times the size of Ski Dubai, a civic plaza with the world’s longest dancing water features and a “one-of-a-kind” heritage village. 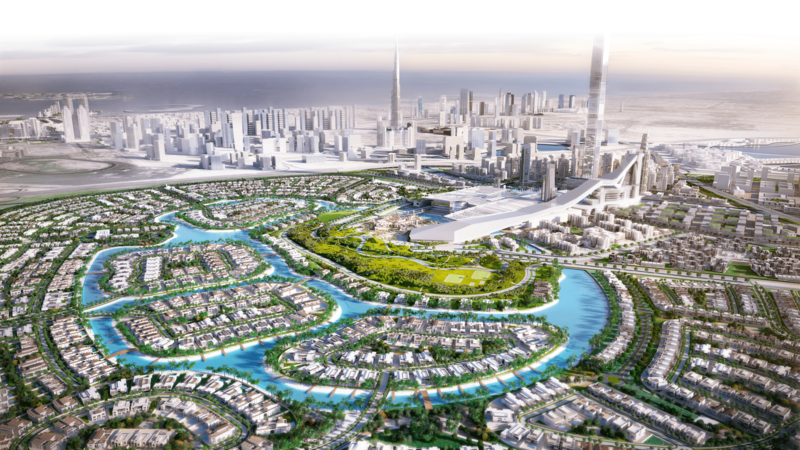 “There are just three premium developments that have contemporary-style, brand-new villas that are ready to occupy besides D1 — Meydan, Dubai Hills and Jumeirah Golf Estate,” says Merchant. Around 500 apartments have been announced so far at D1, according to Ozan Demir, director of operations and research at Reidin. When the project is completed, Demir says D1 will rival the existing VIP residential addresses in Dubai such as the Palm Jumeirah, Emirates Hills and Dubai Hills Estate.